WWM – John, how prominent a part did propaganda play in your education at school in North Korea? J.Ch. – The history class in the primary school was mainly about the Kim family. 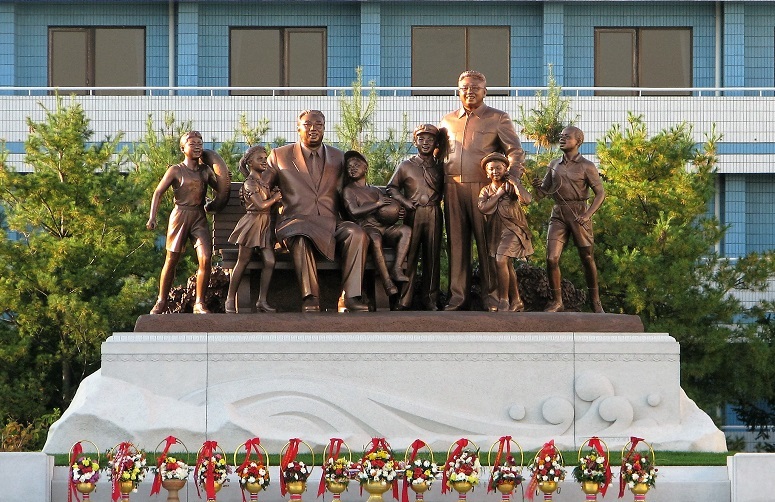 Alongside the ‘great deeds’ of Kim Il-sung, we would learn about his talents and discoveries, with tales about how he looked after his father: he kicked away the birds that were disturbing his father’s sleep with their songs. This was a propaganda of loyalty. J.Ch. – That’s not possible! WWM – Imagine if there was one and their faith became known to their peers, how would that child be treated? J.Ch. – That wouldn’t be possible at all. Even if my parents were Christian, they wouldn’t tell me. If anyone became known as a Christian, they would disappear overnight. WWM – What did you know about the world outside your country when growing up? J.Ch. – Not very much. Even books, dramas by writers of other communist countries were not allowed. When I was a little boy, at the beginning of the 1990s, they broadcast Chinese communist propaganda films, but in the mid-1990s they stopped even that. WWM – Did you have a world map in your class? J.Ch. – Yes we did. We were told that the world outside North Korea was all about money, with many hungry and homeless people on the streets. Life there was not like in our country, they said, where our government looked after its citizens; that’s why we needed to protect our leaders. WWM – But then the same government failed to protect its citizens from starvation in the mid-1990s. Did anything change in people’s minds? J.Ch. – My parents’ generation was looked after by the regime. But when it came to us, although brainwashed, we realised that we needed to look after ourselves, seek food ourselves. Self-management became a strong concept for us on one side, and on the other there was the demand for loyalty to the regime. The two contradict each other but I don’t think loyalty is now more important for people than providing food for themselves. These people can change soon, because they are learning how to survive, how to fight for food. They remain loyal because they have to. WWM – How do you imagine the future of North Korea with the same regime in power? J.Ch. – The regime may not collapse but it may change. They refuse to open the door to the outside world because people will find out the truth. The truth is that there is history beyond the 70 years of the Kim dynasty. The words of wisdom that were attributed to Kim Il-sung were taken from the Bible. And it wasn’t the Western countries that started the Korean War in 1950; it was North Korea. When I discovered these things in China, I was shocked. If people realise they are lied to, they are going to react; they will question everything. That’s why that door remains closed. If it doesn’t open in the next 10-20 years and more sanctions are introduced against North Korea, how many people are going to be left there? WWM – What kind of country would North Korea have to become to make you want to return there? J.Ch. – It would need to be democratic. Even if the regime remained in power, if a Kim like Gorbachev [the last leader of the Soviet Union] took over and started a perestroika [Gorbachev’s policy of restructuring the Soviet political and economic system], then I’d be willing to go back.